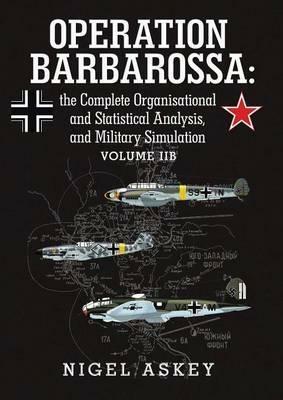 Volume IIB completes the Wehrmacht, and the German mobilisation and war-economy, in 1941. It includes the most detailed Orders of Battle ever published on the German Army (Heer), Luftwaffe and Waffen Ss (across the whole Reich) in June-July 1941. Even the smallest and most obscure ground and air units are included, while the Luftwaffe Oobs include details on aircraft types and strengths. Also scrutinised are: the personnel and equipment assigned to combat-units in each army or reserve-force in all areas of the Reich; the ground and air unit reinforcements as well as those newly mobilised; the military personnel and equipment that became available in the Reich during 1941; the Replacement Army; the mobilisation process and resources used; the available replacements and those sent east; the logistical supply of the Wehrmacht (the varying Supply Distribution Efficiency); the Kriegsmarine forces in the east; and the Wehrmacht killed, wounded, missing/Pow, unfit and recuperated casualties.